Welcome to the Central Elementary website. Central Elementary is rich in history. The school originally opened in 1939 for first through twelfth grade. Many Coweta residents attended Central and graduated from the school before it became Central Elementary. "Central is the heart of Coweta." 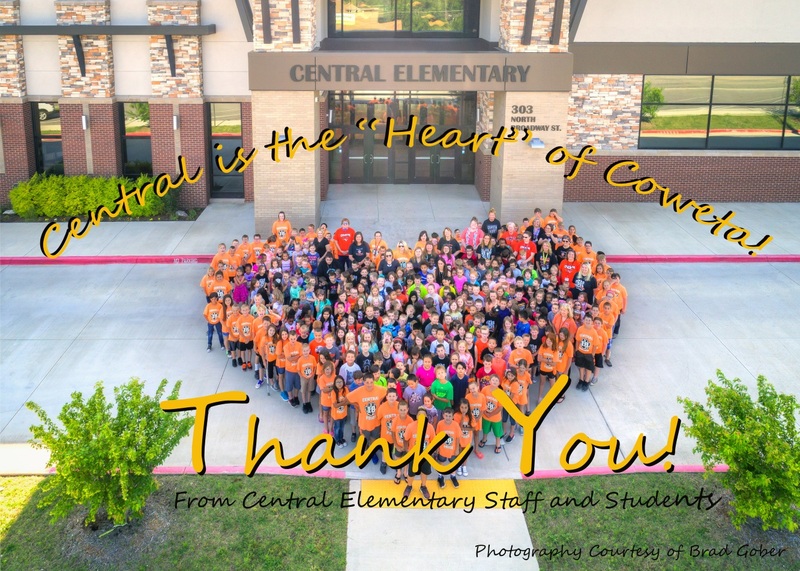 Thank you to the Coweta community for approving a school bond issue to build the new Central Elementary! Our students deserve the best and the new building addresses safety and technology issues, parking and pick up and classroom space. It is a great asset for our students and to the appearance of downtown Coweta. The building project started during the 2014-2015 school and we moved into the new building before the start of school in August 2016. There were many challenges during the building phase but the benefits far outweigh our inconvenience. We are committed to Building a Brighter Future, One Child at a Time. Central Elementary has a talented and caring staff and faculty. We hold high academic and behavioral expectations for our students and ourselves. Our focus is to build an even stronger and more effective community of learners and a place where the staff and students feel proud of their accomplishments. 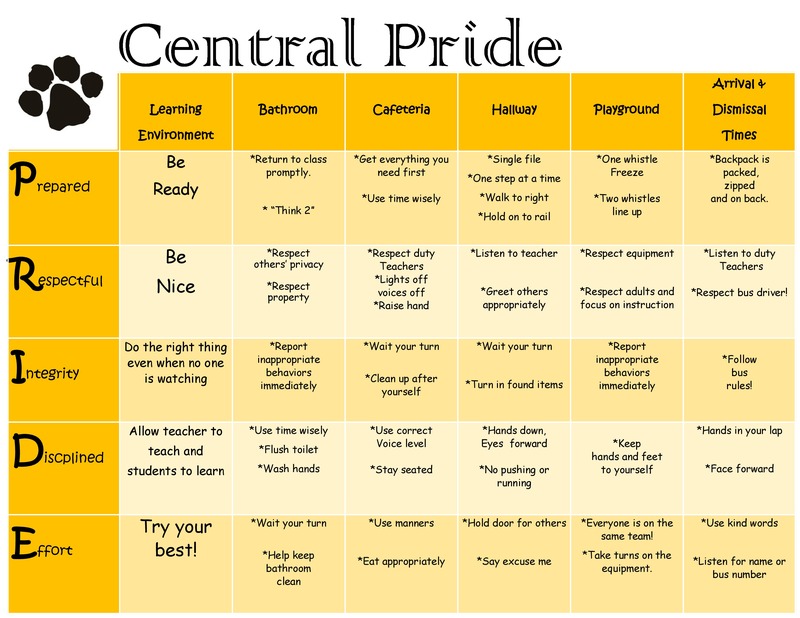 Central Elementary has established a professional culture based on shared beliefs and values, and a climate that is welcoming and accepting for new staff, students, parents and visitors. We value safety and supervision of students and believe that outstanding leadership of the school and classroom leads to providing quality instruction.